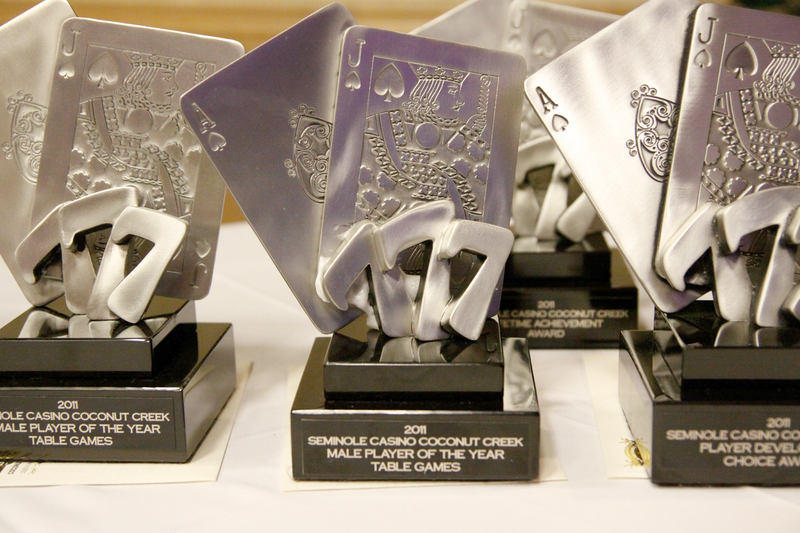 Seminole Casino Coconut Creek located in South Florida needed awards for several different events and wanted custom designed pieces created from their own artwork. 2D images were provided and MK Shannon created the 3D models from the images and provided awards that were totally unique to the casino industry. The turn around time was about four weeks once the model was approved. The pieces shown here were for three separate events. One is the Blues, Brews and BBQ. The other was Player of the Year for Black Jack. 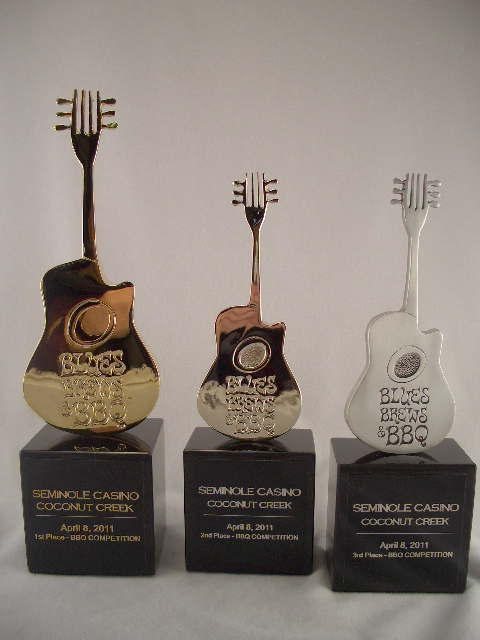 We designed three different sizes of awards for the Blues, Brews and BBQ so that there would be a 1st, 2nd and 3rd place award. The six Black Jack awards that were presented at the event were the Player of the Year Award, Male Player of the Year Award, Female Player of the Year Award, Breakout Player of the Year Award, Player Development Choice Award, and the Lifetime Achievement Award.